The Lake Matoaka Art Studio is one of three buildings occupied by the Art Department. 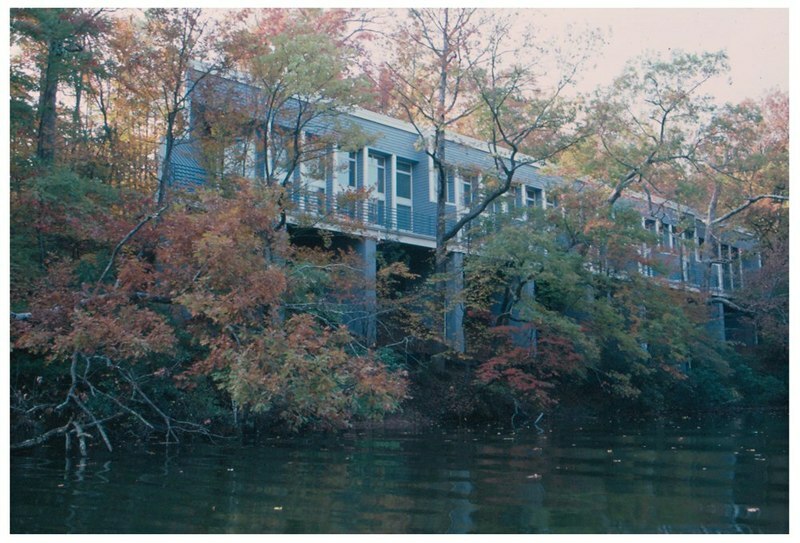 The building overlooks Lake Matoaka and is comprised of a windowed teaching studio at each end, as well as five faculty studios. Students take courses in two-dimensional arts: printmaking and drawing. 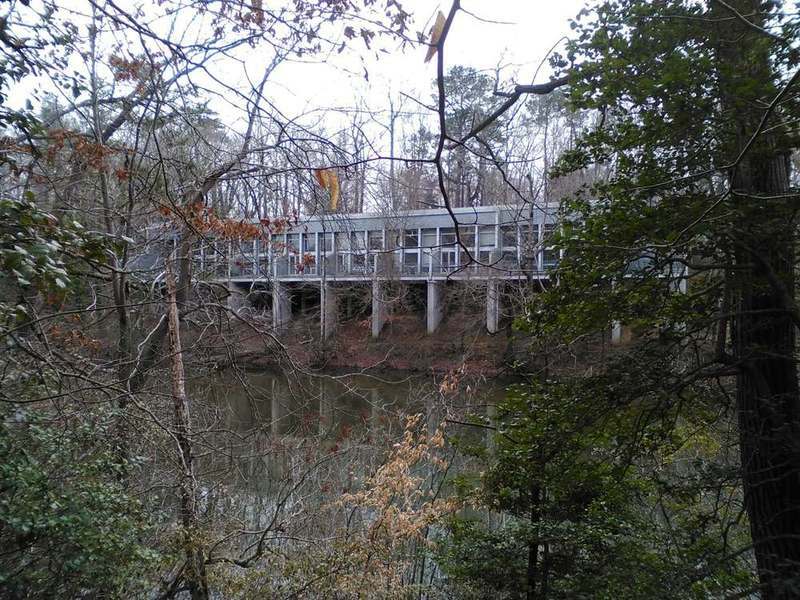 The building is often overlooked, as it is hidden to those that do not frequent the woods surrounding Lake Matoaka. 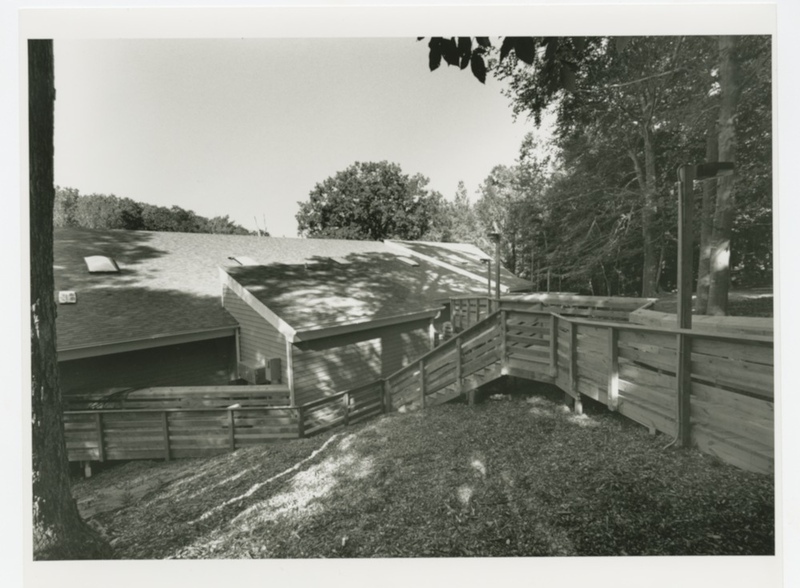 The studio is nestled on a hillside, located just east of Lake Matoaka Amphitheater, and is in the shape of a trapezoid, making it unique among the traditional colonial architecture of the majority of William & Mary. The main office and majority of the Art Department is housed in Andrews Hall on New Campus. A third building, the Ceramics Studio, is behind the Undergraduate Admissions on Jamestown Road. Lake Matoaka Art Studio, undated: An undated image of Lake Matoaka Art Studio. ~ Source: University Archives Photograph Collection, UA 8. ~ Creator: College of William and Mary. Lake Matoaka Art Studio, 2015: A 2015 photograph of the Lake Matoaka Art Studio from across the lake. ~ Source: University Archives Photograph Collection, UA 8. ~ Creator: College of William and Mary. 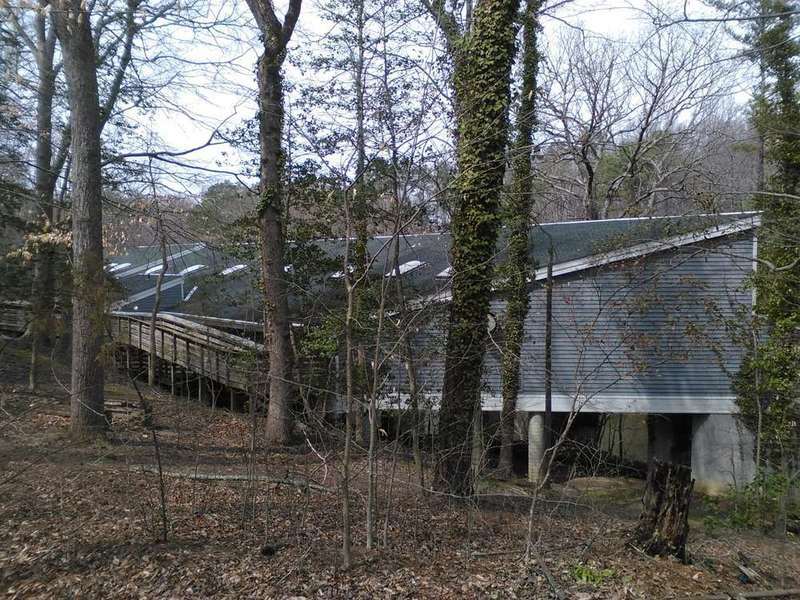 Lake Matoaka Art Studio Rear, 2015: The back side, featuring the entrance, of the Lake Matoaka Art Studio in 2015. ~ Source: University Archives Photograph Collection, UA 8. ~ Creator: College of William and Mary. 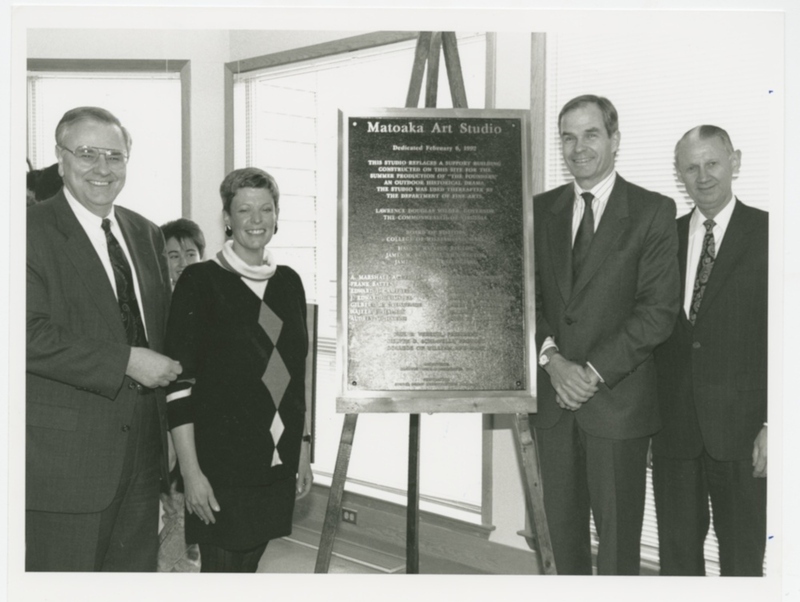 Matoaka Art Studio Dedication, February 1992: A photograph from the dedication of the Matoaka Art Studio on February 6, 1992. ~ Source: University Archives Photograph Collection, UA 8. ~ Creator: College of William and Mary. Lake Matoaka Art Studio, undated: The front side of Lake Matoaka Art Studio. ~ Source: University Archives Photograph Collection, UA 8. ~ Creator: College of William and Mary. 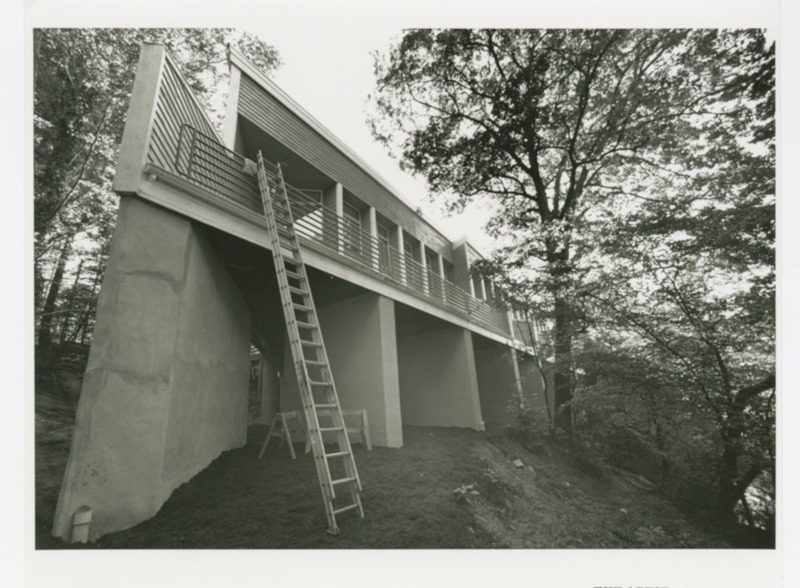 Lake Matoaka Art Studio, undated: The back side of Lake Matoaka Art Studio. ~ Source: University Archives Photograph Collection, UA 8. ~ Creator: College of William and Mary. 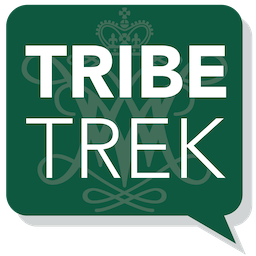 Special Collections Research Center, Swem Library, College of William and Mary., “Lake Matoaka Art Studio, Constructed 1991-1992,” TribeTrek, accessed April 26, 2019, https://tribetrek.wm.edu/items/show/43.